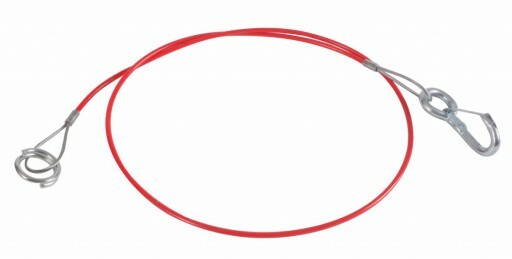 The Kampa Breakaway Cable is designed to apply a second brake in an emergency situation when towing your caravan, motorhome or trailer. 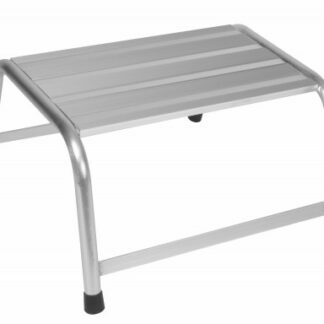 The Kampa Folding Double Step is a great product whether it's for the caravan or around the house. Folds away for easy transportation. 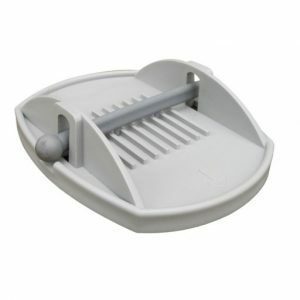 The Kampa Handy Chock are for stopping the wheels from accidentally moving while you are static. It's ridged surface to grip the ground and Tyre. 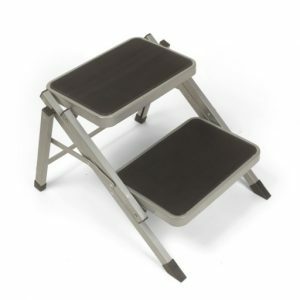 The Kampa Landing Pad Stacker Feet are designed for use with the Kampa Landing Pads (AC0201). 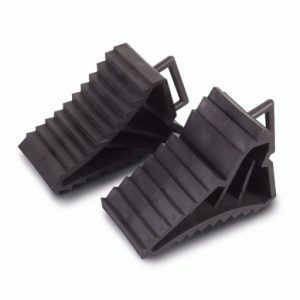 These stacker feet are designed to interlock with the Kampa Landing Pad corner steady feet. 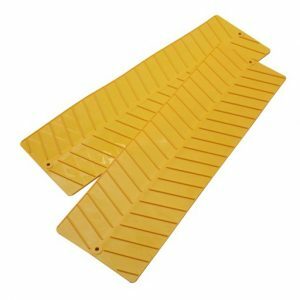 The Kampa Large Levelling Ramps are designed to be used with your motorhome to level the vehicle, if you find yourself on an incline. 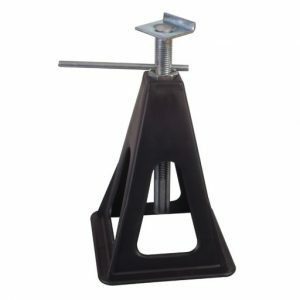 The Kampa Lunar Stack Pads are designed to used with the Kampa Landing Pads to stabilise your caravan. 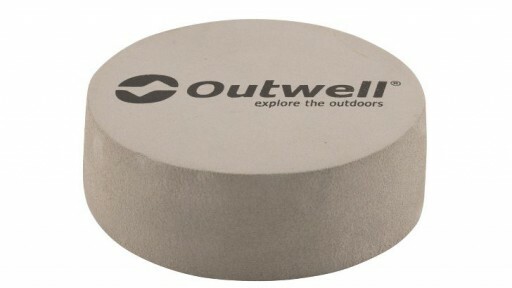 They come in a pack of 4 with each section measuring 4.5cm. 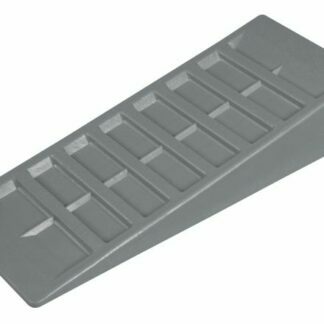 KAMPA STEP UP LIGHTWEIGHT A handy lightweight, yet stable, polypropylene grey step. 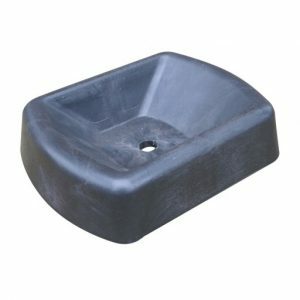 Size: 49.5cm x 34.5cm x 23.5cm. 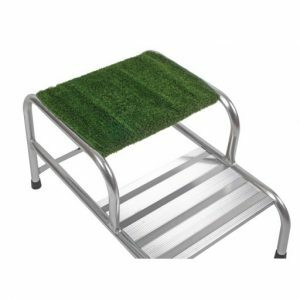 The Kampa Superlite XL Single Step is a sturdy single step for use around your caravan. 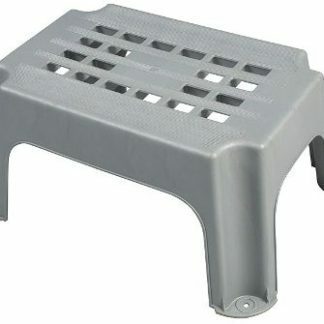 Ridged non-slip top step. 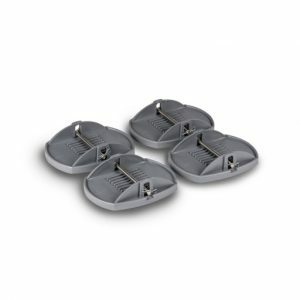 4 non-slip feet. 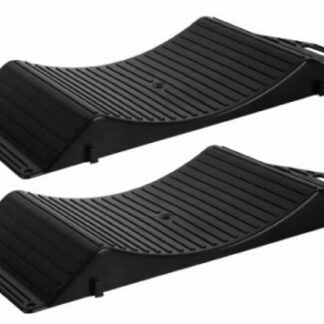 The Kampa Wheel Grip Mat is ideal for use on mud, wet grass and snow. 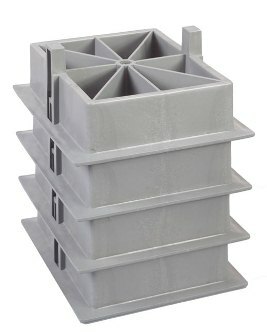 They come in a 2 piece set and can be neatly stack and stored when not in use. 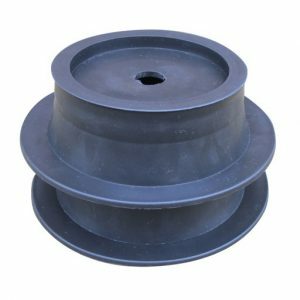 Prepare for uneven ground with Outwell Height Adjustment Discs. 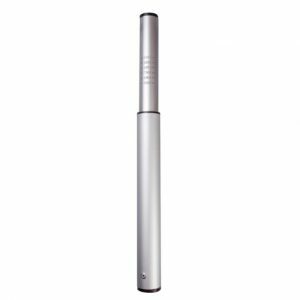 Simply slot these into the pocket on the frame to straighten up the awning. 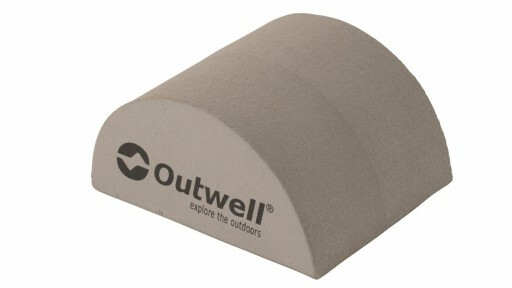 The Outwell Seal Blocks make sure your awning is securely attached to your caravan at any irregular attachment points. High density EVA foampads. 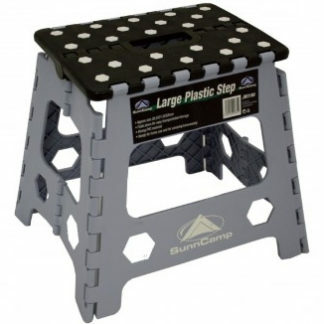 The Sunncamp plastic step is great for campers or even gardening because it is easy to carry and folds away flat. The Sunncamp Tourer Tyre Saver helps prevents flat spots on car, caravan or motorhome tyres whilst stationary for extended periods.